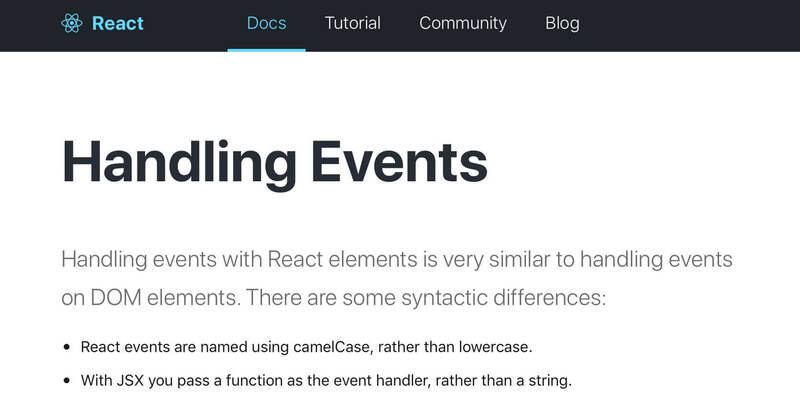 Hi everyone, today we will see how to put in practice what we learned about the Handling Events workflow in React Js; in order to do it we will customize further our Author Card Divi custom module. 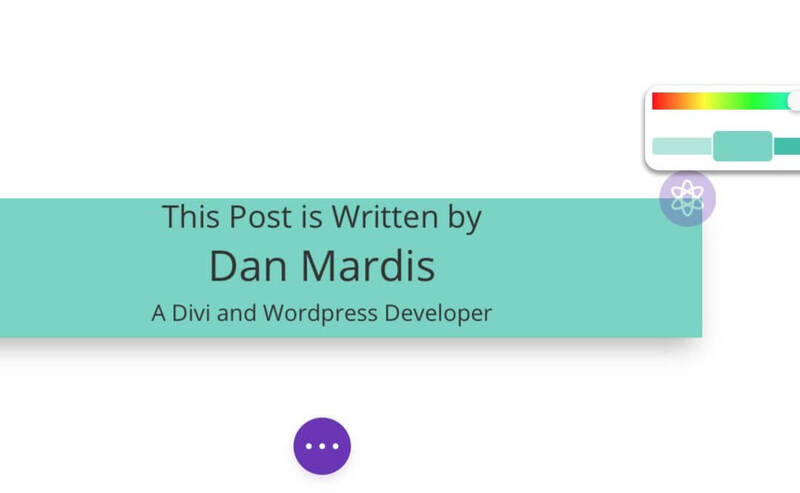 We created a Divi custom module called Author Card in which we have just two custom Content fields, an Author Intro and an Author Description and in between the post author will automatically appears thanks to an Ajax call in our componentDidMount (we will talk about it in the next week!). We also added a purple background color circle at the top right corner of the module and from here we will continue… we want to make this purple circle appears only if a background color has been added, then clicking on it a color picker will fade in and we will be able to select a different background color that will immediately replace our module background itself… a lot of words, i know, this is a sneakpeek of what we are going to do… and now let’s get our hands dirty with pure React code! In our example we will add several events and relative methods to be called: the first event will listen for a click on the background purple circle, if it will be clicked will be called a method we just name ‘handleClick()’ that will make a color picker appears; a second event listener will be added right inside our color picker component and will be responsible for calling an ‘handleChange()’ method that will replace our background color with that selected in the color picker. Finally we will add a third event listener responsible for closing the color picker popup and we will add it to the color picker container so that when our mouse will leave it the popup disappears and the new color will be saved. Then we move to our ‘render()’ method and wrap our background circle html/jsx element in an if statement to check if a background color has been set by the user in the Content -> Background field. If not the module appears as default and we will not see the background circle, otherwise it will be visible in the top-right corner (we have also added an icon in it in our css file). Next week we will talk about Lifecycle hooks like ‘componentDidMount’, ‘componentWillMount’, ‘componentWillReceiveProps’ and so on giving then a real example applied to our custom Divi module Author Card. So, stay tuned. See you next post!